Wonderful Bon Ami! 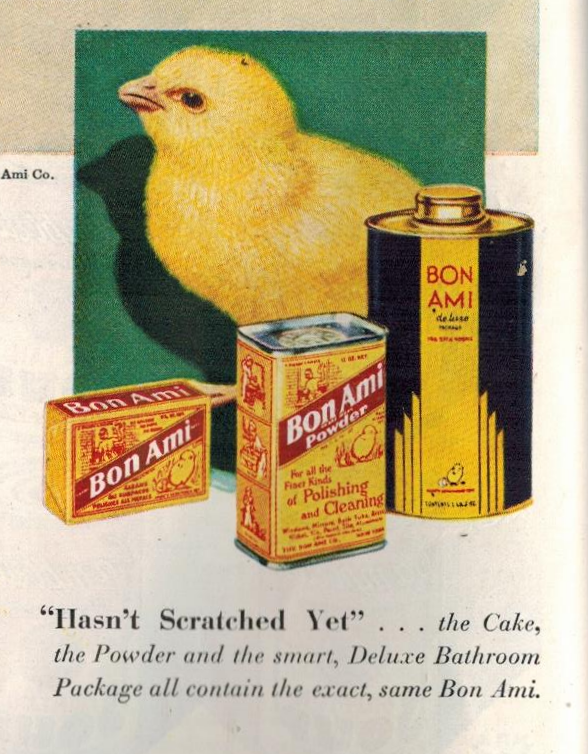 I use it myself, although it no longer comes in the very cool Art Deco container displayed in this 1934 advertisement. 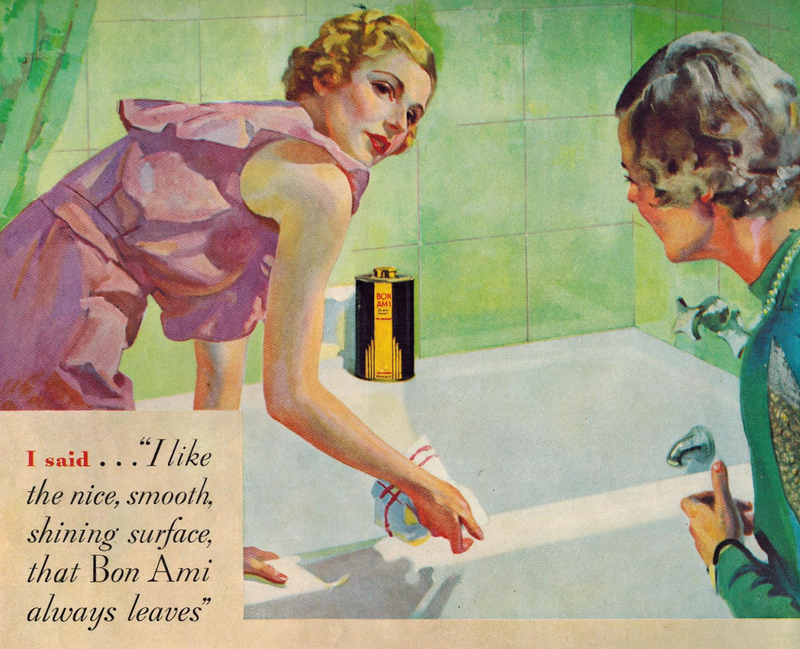 I marvel at how well dressed the homemaker is in this ad, just to clean the tub. A little fancier than what I wear when I clean the bathroom - lol!